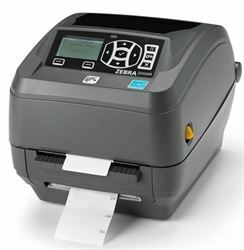 Prime Interway - ZD500, 300dpi, 104mm, 4/s, ZPL, 128MBRAM/256MBFlash, Display LDC, USB/Paral/Serial/Ethernet/WiFi/BT. ZD500, 300dpi, 104mm, 4/s, ZPL, 128MBRAM/256MBFlash, Display LDC, USB/Paral/Serial/Ethernet/WiFi/BT. ZD500, 300dpi, 104mm, velocidade de 4 pol./s, ZPL, memoria de 128MBRAM/256MBFlash, Display LDC, USB/Paral/Serial/Ethernet/WiFi/BT. ZD50043-T0AA00FZZD500, 300dpi, 104mm, 4/s, ZPL, 128MBRAM/256MBFlash, Display LDC, USB/Paral/Serial/Ethernet/WiFi/BT.